By Daniel Lopez·	 2/8/2016, 2:45 p.m.
“Just relax your leg!” the doctor said with a smirk while shaking my suspended limb back and forth. “My leg is relaxed, it just refuses to bend!” I responded with a hint of frustration and embarrassment in my voice. I was 13 years old when my pediatrician sent me to St. Christopher’s Hospital to get tested for scoliosis. This was probably my fourth visit in as many years. He was hell-bent in his belief my spine was developing a curve and every visit I feared I’d actually be diagnosed this time. Little did I know I was about to become a medical enigma for a completely different reason. Part of the test, for reasons unknown to me, involved checking the flexibility of my hamstrings. The doctor’s assistant was the first to take on the challenge of pushing my leg to my chest. I just laid on the examination table watching this poor lady attempt to find a trace of flexibility in my leg. The assistant, after laughing with my mom about the situation – which definitely made me feel normal — left to grab the orthopedic doctor. His efforts were also wasted. After pushing and pulling my leg like a stick shift, the resistance left him stunned. While the test for scoliosis came back negative, I left St. Christopher’s scarred with the memory of the wrestling match between my legs and their staff. Clearly, flexibility and my name have no business being in the same sentence. But as the intern for Be Well Philly, I felt it was my duty to experience yoga for myself. Plus, I love a challenge and I’m no stranger to making a fool of myself. 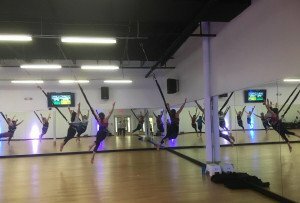 So when my editor suggested I try a class at CorePower Yoga on Walnut Street, I accepted with enthusiasm but feared the worst. Surely enough, my fears came true. And then some. The fear didn’t truly sink in until I walked into CorePower Yoga’s studio. Stepping through the double doors marked the point of no return. It was time to face the reality of my yoga skills, or lack thereof. I met my yoga guru for the day, Danielle, whose face lit up with excitement after telling her it was my first yoga class ever. She eased my newbie worries, handed me my mat and sent me on my way to get ready for the C1 (beginner-friendly, thank goodness) class. Note: I had no idea what the inside of a yoga studio looked like. The plan was to find a nice spot waaaaaaaay in the back of the classroom where I could blend in and not be noticed. To my horror, the class consisted of four ladies and myself in a cozy space about as big as my living room. And of course there was a mirror that spanned the width of the room so I could watch the disaster unfold right before my eyes. The student next to me told me about her 10-plus years of dance experience and how she was working toward becoming a yoga instructor herself. “But you’ll do fine!” she said. I felt like a minnow among sharks in yoga leggings. Danielle wasted no time getting right into the vinyasa class. We started in a resting position to warm up, Child’s Pose, where my legs were already feeling the burn. Keep in mind this pose should be effortless. I thought to myself, “If this is how we rest, I’m probably going to die today,” and silently accepted my fate. The term “vinyasa flow” makes a lot more sense to me after taking this class. The movement from pose to pose was very natural, with zero pauses between transitions. Once the names of the poses clicked in my head, I started to get the hang of things. My chaturanga started to have some – emphasis on some –resemblance to what Danielle was doing. A bit of confidence started to manifest in me, but that only lasted for about the first 15 minutes of the class. Breathing, something I thought I had mastered by this point in my life, became a challenge in and of itself. As many of you yogis already know, there is a certain rhythm you have to maintain throughout the class. Breathing had never become such a conscious effort before. But when I was successful, I noticed it helped me balance and calm my body. Controlled breathing is a technique that benefits any workout, making it a worthwhile skill to improve on even after class is over. About halfway through the hourlong class, my “skip leg day, every day” motto came back to haunt me. My legs were completely giving out on me and wobbled at inhuman speeds. I looked like a baby deer taking its first few steps onto a sheet of ice. I applaud the other students in the class for not laughing at my attempts at the Eagle, which looked more like a wounded pigeon in Rittenhouse. For one student, the class was too much. She bluntly said “I can’t do this,” and left the class. There was a part of me that wanted to crawl out of class right behind her. But there was no way I’d waste all the effort I’d already put in. Danielle stressed resisting the urge to “escape the pose.” I found yoga is as much a mental test as it is a physical test. So I sucked it up and did my Warrior poses with a determined but panicked grimace on my face. With sweat dripping off my face like someone just squeezed a wet sponge over my head, I made a deal with every god in the universe to get a breather. 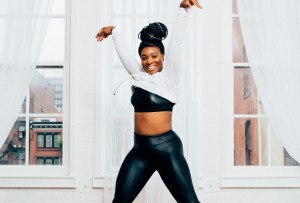 Throughout the class, I kept thinking to to myself, “There has to be a break coming up,” only to have Danielle announce the next pose instead. Break time? “Chaturanga!” Okay, definitely time for a break. “Utkatasana!” Okay, that’s funny, Danielle. Now, really, it’s time to rest before my legs implode. “Padahastasana!” The last time words struck so much terror in my heart was when my mom told me the truth about Santa over a decade ago while shopping in Sears. My sanity was saved with the end-of-class savasana. I was able rest my limbs and reflect on my day. The dimly lit room and soothing playlist created a bubble of calm, void of all the normal distractions in everyday life. It was strangely relieving to just sit there and be in my own head for once, instead of occupying my time listening to music, playing around with my phone or doing schoolwork. It sounds super cheesy (and before the class I’d agree with you 100 percent), but this former non-believer is here to tell you: savasana is legit. I hobbled out of the class with a whole new level of respect for the yoga aficionados out there. I knew it’d be tough, but I wasn’t prepared for one of the most challenging workouts I’ve experienced in a long time. It targeted my weakest points, pushed me to the edge and then threw me 50 yards past it. And I loved that. The trek to Suburban Station afterwards was painful, but completely worth it. 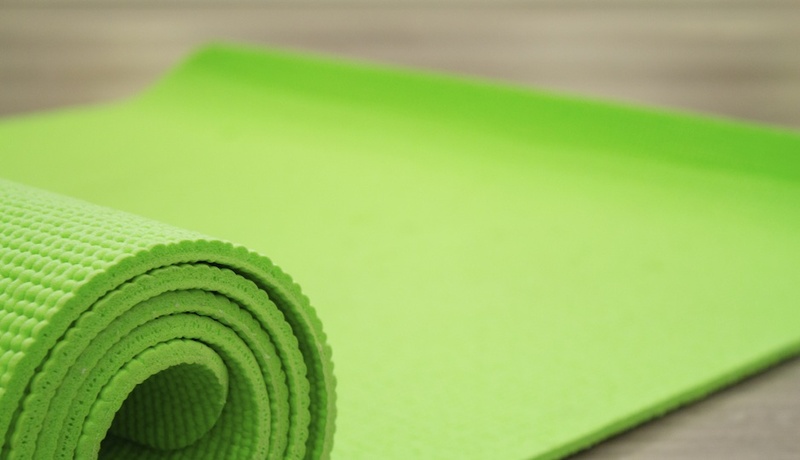 So just know, whether you’re a yoga veteran looking for a new challenge or a newbie who wants to experience it for yourself, CorePower (1616 Walnut Street) is sure to deliver on a tough, but rewarding yoga session. 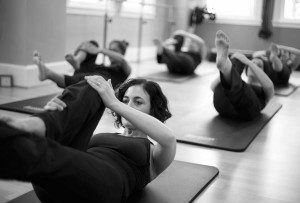 And your first week is free, so you’ve got nothing to lose — besides maybe the stability in your legs.